Cannabidiol (CBD) is one of the least 85 active cannabinoids identified in cannabis. The CBD oils and waxes, terpenes and isolates used by The Electro Tobacconist’s ® come from commercially grown, organic hemp plants which are naturally high in CBD and low in THC. Factual and straightforward information on the potential benefits of Cannabinoids is available online by using a popular search engine. It is always wise to stick to reading accurate, factual case studies surrounding CBD rather than information on a products page. Our products also contain a host of legal cannabinoids found in whole plant (full spectrum) extracts including CBD, CBG, CBDv to name a few. The Electro Tobacconist® will always manufacture products using real, organic CBD oils alongside the finest isolated CBD, CBG or cannabinoid available. The cannabis plant has over 100 active cannabinoids each with different properties. Most research and attention has been given to the major compounds; Delta-9 Tetrahydrocannabinol (THC) and Cannabidiol (CBD), although there are many others, which are being discovered as time goes on. Cannabigerol (CBG) is a non-psychoactive cannabinoid found during the early stages of the growing cycle and can be extracted from budding plants roughly three quarters of the way through their flowering stage. This makes CBG one of the most valuable and potenitally beneficial cannabinoids that we know of. How strong are your products & what % are they? The Electro Tobacconist® do not express the strength of our products as a percentage on our bottle. Instead we tell you exactly how many milligrams or MG’s there are within your bottle (CBD and CBG). We believe percentages can be very misleading unless you know exactly how to calculate a % based on the original compounds added to a product. What PG : VG ratio are your CBD and CBG E Liquids? We have a couple of variants when it comes to PG (propylene glycol) and VG (vegetable glycerin) ratios. 1) The Electro Tobacconist® CBD E Liquids are 60% VG : 40% PG. Made using a thin golden organic oil it makes for an awesome CBD vape. Are hemp oils and their cannabinoid compounds legal? None of our products contain THC, the cannabinoid scheduled as a Class B substance under the UK Misuse of Drugs Act 1971. CBD, CBDV & CBG have no psychoactive effects and are not subject to any legal restrictions on their import, sale, possession or use. There are increasing number of reports and studies showing a variety of benefits from Cannabinoids. The Electro Tobacconist® and NV Biotech are proud to be the first in the UK to offer these. Our products contain no psychoactive ingredients and are all 100% legal. No, all products manufactured by NV Biotech contain non-psychoactive legal cannabinoids found in whole plant (full spectrum) extracts. What category do your products fall under? All products manufactured The Electro Tobacconist® are intended as a food supplement until further notice and can be used to optimise your well-being. Can I use your CBD E Liquids in my current vape device? The Electro Tobacconist® stock personal vaping devices or “E cigs” and we choose the models based on experience and proven performance. All E liquids work best in purpose built “E Cigs” rather than disposable or the cheaper style slim line pens. If you currently own a slim line pen device with a 0.5ml or 1ml cartridge then it’s definitely worth upgrading your setup to maximize the benefits of our Cannabinoid products. You may also find it useful to know that vaping The Electro Tobacconist® CBD E liquids works out to be over 40% better value for money vs the slim line pens with expensive replacement cartridges. We strongly advise upgrading to a popular E Cig device if you currently use a slim line pen. This is so you get the most out of your CBD, CBG or Cannabinoid vape product. What is a “tincture” and how do I use an oral cannabinoid product? Traditionally a tincture would be a medicine made by dissolving a drug in alcohol. However, our modern definition would be more along the lines of; a compound suspended in carrier oils to aid absorption and bioavailability. Our organic hemp oil tinctures are oral products designed for sublingual absorption, meaning under the tongue. Oral oils and tinctures are not for use in electronic cigarettes and will damage your device. Please only use orally! 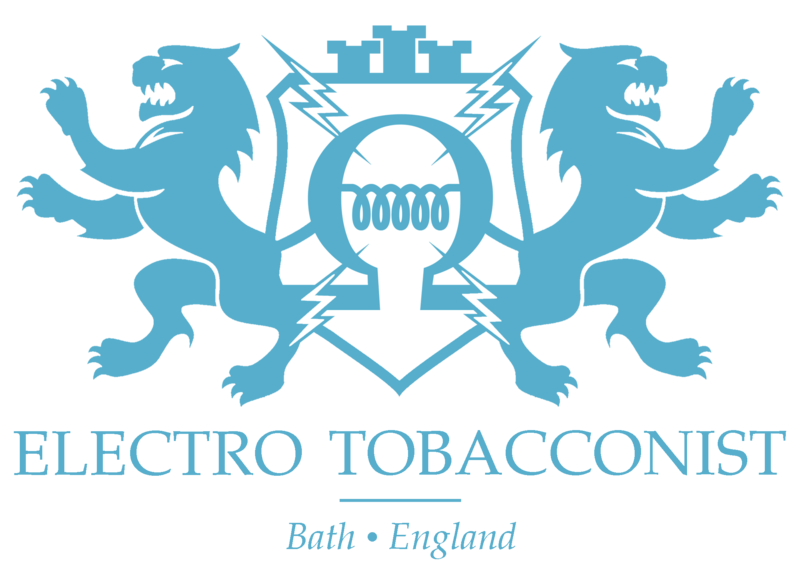 The Electro Tobacconist® is a limited company belonging to ‘Appy Daze Ltd based in Bath. When we say “based” here we mean we are real people operating from our biotechnology facility with a focus on customer care and quality control. The Electro Tobacconist team have been working together for over 3 years and are real people who you can talk to! We believe all Cannabinoid based products should be produced in a certified clean environment. There is some orange stuff in my E Liquid! What is it? Is it normal? We are quite often asked in the winter months what the orange stuff is! Its hemp oil, a key component of our CBD E Liquid at the moment. The cold weather can make it separate slightly during transit so just allow it to get to room temperature and shake for 1 – 2 minutes. We use this fully vape safe oil because it contains a host of cannabinoids, not just one! Its highly beneficial VS CBD only products. In coming months we will focus on a spectrum of cannabinoids which may lower this oil level significantly. We value our customers very much and therefore realise the importance of delivering a high-quality range of products. When purchasing a CBD, CBG or a cannabinoid containing product it should be straightforward and simple to understand what you are paying for. None of the CBD products on this website are marketed for medical use. The Electro Tobacconist® are proud to only produce only the best quality CBD E-liquids and Tinctures. All hemp oils and Isolates used in the manufacture of The Electro Tobacconist products are high in either CBD, or said Cannabinoid.